Resolute in our pledge to ensure the continued excellence of Western Michigan University, the faculty, staff, and students join together in the work of strategically forging the University’s future through this plan. We reaffirm the commitment of our community to the values of shared governance, transparent and timely communication, and accountable and responsible behavior within an ethical, compassionate, diverse, and respectful environment. WMU’s strategic plan reflects the insight of WMU’s many and valued constituents, and respects the clear and thoughtful strategic plans that have been developed by those across campus. This overarching university strategic plan builds upon the self‐study prepared for the Higher Learning Commission and, in so doing, prepares WMU to distinguish itself in the years to come. Recognizing both the historical strength of WMU and the external constraints and opportunities, we commit to the five goals identified to ensure the distinction and health of this extraordinary University in the coming years. As we pursue these goals, we must be cognizant of current needs and mindful of future opportunities. We must ensure that resources are carefully managed and thoughtfully applied to pursue the strategic goals identified herein. The University’s budget, this plan, and the divisions’ plans must be carefully integrated if we are to be successful in our mission. We must make certain that our plans are innovative, relevant, energized, united, and realistic. We must be leaders, clear in our purpose and inspiring to those around us–we must be a university community willing to move boldly into the future. indicators by which their plan will be measured. University resources must be budgeted in accordance with the goals identified in this strategic plan. Western Michigan University is a learner‐centered, research university, building intellectual inquiry and discovery into undergraduate, graduate, and professional programs in a way that fosters knowledge and innovation, and transforms wisdom into action. As a public university, WMU provides leadership in teaching, research, learning, and service, and is committed to enhancing the future of our global citizenry. Western Michigan University is a university where every member of our community is responsive to and responsible for the education of our students. We challenge and engage all members of our community with a university experience that creates skilled, life‐long learners. innovative solutions, leads to economic development, and makes substantial contributions to society. globally competent, culturally aware and ready to contribute to world knowledge and discovery. every student can meet the world head‐on and triumph. To operationalize our mission and vision, we set forward this planning framework to be pursued over the next three years. prepares profession‐ready lifelong learners who remain engaged with the University and contribute to the social development and economic vitality of their communities. 1.1 Ensure distinctive local and global learning experiences for all learners. 1.2 Provide tools to foster the success of our students. WMU continually pursues approaches to learning, discovery, and service. We embrace collaborative engagement and leverage our resources to produce knowledge, contribute to technological and economic advancement, and elevate the human condition. 2.1 Invigorate curricula and teaching methods to improve learning outcomes. 2.2 Support and promote innovative discovery and development across campus. 2.3 Support and promote engagement and service to the University, community, and professional disciplines. 3.1 Refine WMU’s portfolio of mission‐appropriate programs. 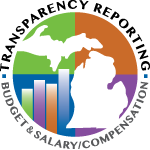 3.2 Increase WMU research and creative activity that impacts the State, nation, and world through partnerships with communities, industries, governments, institutions, and foundations. needed to offer solutions to our world’s challenges. 4.1 Enhance diversity and promote a campus climate of inclusion. 4.2 Enhance the health and wellness of the community. 4.3 Foster the University’s reputation. respecting the individual needs of students and employees, reducing our environmental footprint, and relying on assessment and accountability to ensure continuous improvement.